You can withdraw money from an online savings account in several ways. 1. Can You Use a Savings Account in PayPal? Online banking is becoming more widespread -- even among smaller local banks. You can manage your savings accounts online and even establish accounts at banks that do all their business online. While this makes it easier to pay bills and manage accounts, it often makes it more difficult to withdraw funds. 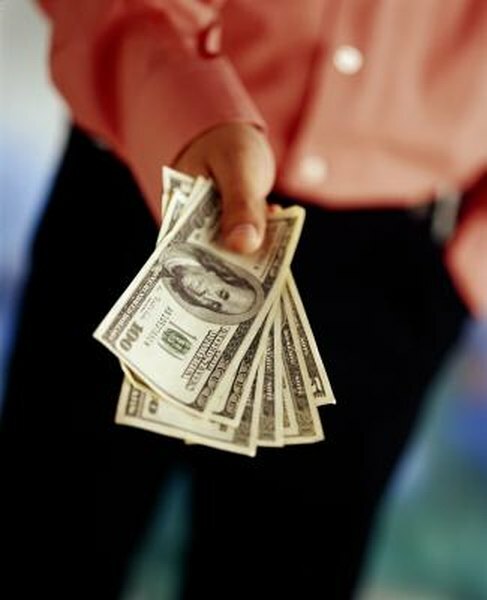 When you need to withdraw your money from an online savings account, you have several options. The simplest way to get money from an online savings account is with a debit card. Most online banks offer debit cards to customers, but you may have to provide credit card information to the bank when you apply so the bank can verify your address. Once you get the card in the mail, you can make instant withdrawals at an automatic teller machine or get cash back from a merchant. These cards often carry an ATM transaction fee -- especially if you use them at a bank that isn't your own. You can withdraw money from your online account and transfer it electronically to another account, either at the same bank or another bank. The transfer may take a few days if you are transferring the money to another bank, and some banks charge a fee for this service. You will need to know the routing number and the account number of the other bank to make the transfer. These numbers can be found at the bottom of your checks, if you have a checking account. Ask your bank for the routing number if you don't have any checks, or find the number on the bank's website. Online banks will mail you a check for a certain amount at your request. You can then cash the check locally or deposit the check into another account. This option requires you to wait for the letter carrier. If you need money quickly, you may be able to request a same-day wire transfer from your online account to a local account. Not all online banks offer this service. A wire transfer is different from a regular account transfer because it it goes directly from one bank to another and does not have to go through a central clearinghouse used for regular transfers. This means it's quicker. The charge for this type of transfer in 2012 ranges from $10 to $25.